COMING SOON: Event registration will be available here for our 5-week Healthcare Conversations & Decision-Making Workshop (plus an interactive caregiving demonstration in Week 5!) Cost is $20 per participant. Open to adults 18+. 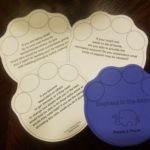 We aim to get people talking about how they choose to live their lives as their physical bodies age, as health changes occur, as personal/functional independence wains and dependence begins. We believe conversations are the key component to understanding our own wishes – and those of people we love – long before a medical crisis or terminal diagnosis occurs. We believe conversations now lessen the emotional and physical burdens later. Who doesn’t want to lessen the burden on people we love? Caring Choices was started to help individuals and families learn about and participate in personal advance care planning (ACP). Advance care planning involves having conversations and making/documenting decisions about healthcare choices related to illnesses and prognoses that many of us will face as we grow older and our physical and/or mental health declines. The International Society of Advance Care Planning & End of Life Care defines advance care planning as “a process of communication between individuals and their healthcare agents to understand, reflect on, discuss and plan for future healthcare decisions for a time when individuals are not able to make their own healthcare decisions.” A successful outcome to ACP is having your plan in place for your loved ones who will be making decisions on your behalf when you are no longer able to participate in decision-making. Benefits of ACP include relieving the fear of talking about death and dying while making future conversations easier and welcome. Why is it so important to talk about healthcare choices we’ll face at the end of life? When we don’t have these conversations, we burden our loved ones with having to make decisions that they do not feel prepared to make. This lack of preparation breeds fear, guilt and remorse over making the “wrong” decision. We need to talk and make decisions when we’re healthy so we can approach Death abstractly, with less fear and trepidation, and with fewer distractions than we might face when ravaged by chronic illness or an acute terminal diagnosis. We need to have intact cognition to understand benefits and risks of procedures/treatments, especially in advanced age or in late stage of disease(s). We will likely not have time to discuss choices and wishes for comfort and pain management if we wait until we’re dying. Facilitate advance care planning conversations with individuals/families in the comfort of your own home. Assist in communicating preferences/decisions with loved ones and healthcare providers. Aide in the completion of advance care planning documents. Provide educational presentations about advance care planning to your community organization, business, faith community, etc. We welcome your comments and look forward to helping you and your loved ones make Caring Choices. To schedule your initial conversation or educational presentation, please call Cindy at (570) 428-2021 or Jim at (570) 428-2020. “Being Mortal” delves into the hopes of patients and families facing terminal illness. The film investigates the practice of caring for the dying and explores the relationships between patients and their doctors. It follows a surgeon, Dr. Atul Gawande, as he shares stories from the people and families he encounters. 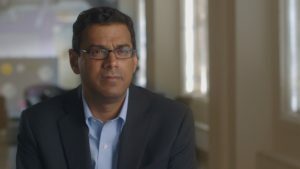 When Dr. Gawande’s own father gets cancer, his search for answers about how to best care for the dying becomes a personal quest. After the screening, you can participate in a guided conversation on how to take concrete steps to identify and communicate wishes about end-of-life goals and preferences. Contact Cindy at moyercl@gmail.com or Jim at desideratij@gmail.com for more information! Screenings now being scheduled. Don’t miss out on this opportunity to start a community conversation!